For many people, the consequences of a DWI/DUI conviction that have the most immediate impact are those that limit their ability to drive. In Louisiana, you may be forced to have an ignition interlock device installed in your vehicle after a DWI conviction, even if it is your first. 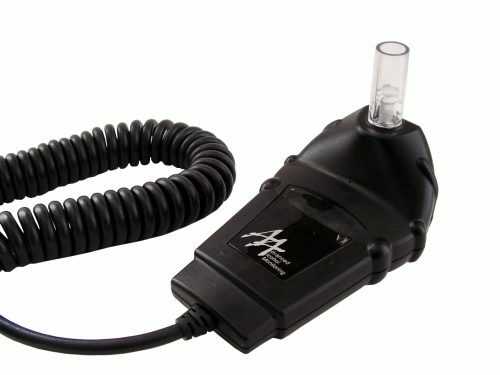 Ignition interlock devices require the driver to submit a BAC sample that is below a certain limit for the vehicle to be able to start. Apart from being an inconvenience, ignition interlock devices are also a financial burden. You need to secure the device and pay for it. The state will only grant you driving privileges once you have shown verifiable proof that the device is installed in your vehicle. Considering all of the other fines, costs and fees associated with a DWI conviction, the last thing someone needs is more expenses. The only way to prevent having to deal with the cost and inconvenience of an ignition interlock device is to put forward the strongest defense against your DWI charges. Do not take you charges lightly or you may find yourself burdened by an ignition interlock device and all of the other consequences of a DWI conviction. Attorney Robert S. Toale has been trained in performing field sobriety tests. He has an in-depth understanding of the procedures officers use, which helps him provide effective defenses to clients who have been arrested for DWI. Securing the right defense can help you avoid having to install an ignition interlock device in your vehicle. To learn more about how we can help you, call 504-368-8440 or contact us by email. We defend clients throughout the New Orleans area and Southern Louisiana. The criminal defense attorneys at the Law Office of Robert S. Toale can protect your driver’s license against DUI charges. Many people who are charged with DWI/DUI have never had more than a speeding ticket before. The reality of being arrested and charged with a crime is an unsettling and foreign experience for these people. Most people simply want to do whatever is necessary to make the charge go away as soon as possible. Unfortunately, for many that means accepting whatever deal the prosecutor offers. You do not have to take whatever the prosecutor is offering. There are many ways to effectively fight DWI charges. Just because the police have a BAC reading does not mean that you will be convicted. Did some other factor cause you to fail field sobriety testing? Was the officer properly trained in administering the Breathalyzer test? We know how to effectively counter the evidence against you. We can help you fight to protect your driver’s license and secure a hardship license if necessary. At the Law Office of Robert S. Toale, we know that the best way to protect your driver’s license against DWI charges is to avoid a conviction. Our decades of experience fighting for the rights of our clients in our local courts gives us insight as to the best strategies to employ in different courts and against different prosecutors. We know how important it is for people to protect their driving privileges, and we have the skills and experience necessary to help you. Do not face DWI charges without the benefit of experienced defense counsel. Call 504-368-8440 or contact us online to schedule an appointment with the criminal defense attorneys at the Law Office of Robert S. Toale in Gretna, Louisiana.